The plane is designed to carry into space, and drop, a rocket that would in turn ignite to deploy satellites. 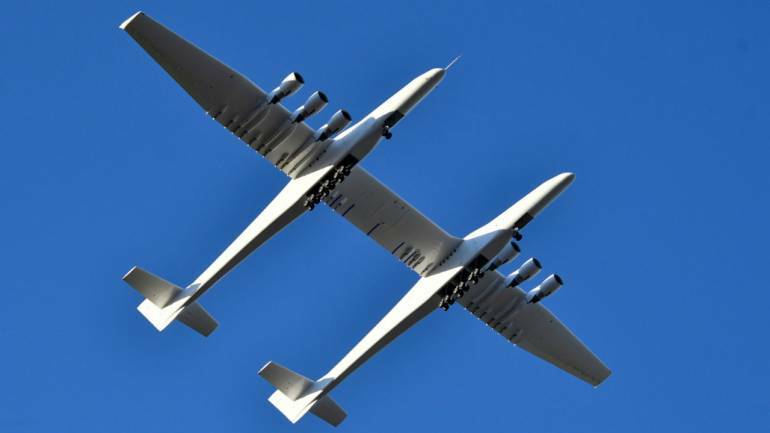 The world's largest airplane - a Stratolaunch behemoth with two fuselages and six Boeing 747 engines - has made its first test flight in California. The mega jet carried out its maiden voyage over the Mojave desert on April 13.